The Rankin College of Business Backpack to Briefcase program is one more way that we work to ensure our students are ready for career success. A series of workshops aimed at giving every student the necessary tools for landing an internship or that first career position will be offered in the fall. 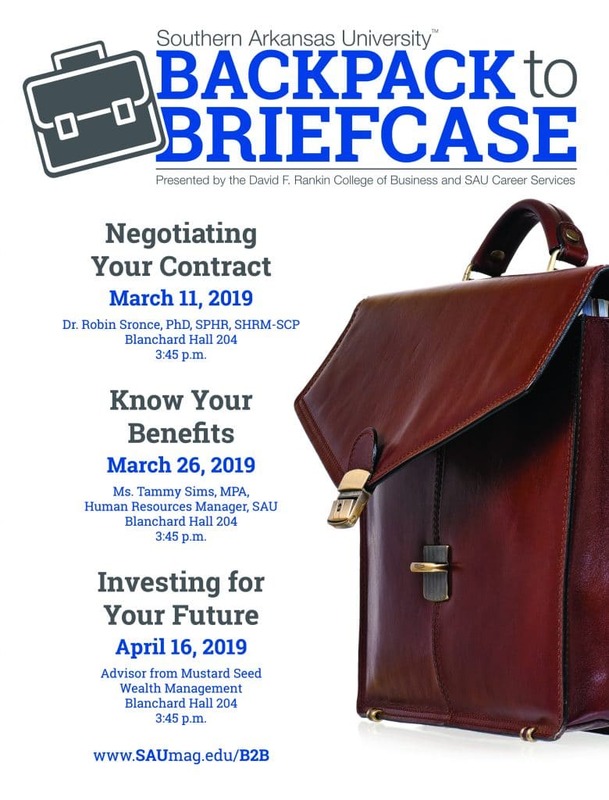 In the spring, workshops will be geared toward graduating seniors, providing them with helpful information as they transition into their career. Students attending the fall workshops can be confident that they are prepared to meet their future employers. They will have a resume, appropriate attire, practice interviewing, a formal picture for their LinkedIn profile, and confidence for that lunch interview or networking event. prepare them for the transition from student to employee.